Can Michael Porter Jr. Save Lorenzo Romar’s Job at Washington? 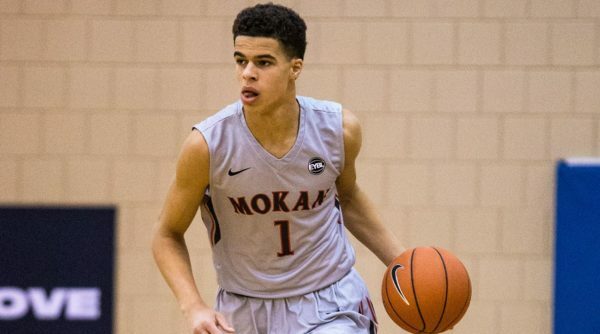 On Monday in a gym in western Massachusetts nearly 3,000 miles east of Seattle, Nathan Hale High School (WA) forward Michael Porter, Jr. lit up an Oak Hill Academy team littered with Division I talent to the tune of 37 points, five rebounds and four assists. 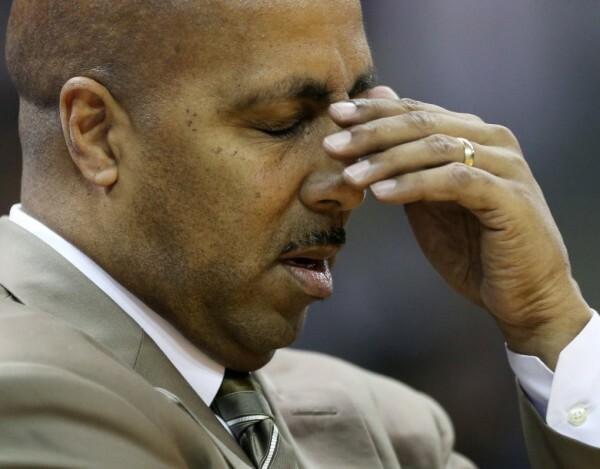 Back in the Emerald City, Washington head coach Lorenzo Romar is in danger of losing his job. The Huskies are drowning in a sea of defensive lapses and wasted offensive possessions, all the while squandering the services of arguably the best player in college basketball, Markelle Fultz. Over the last 15 years, Romar has banked significant good will as the most successful head coach in program history. But as the Huskies have churned out legitimate NBA talent over the past five seasons without any real NCAA Tournament success to show for it, even his staunchest defenders have begun to come around. And yet, the only person that seems to stand between Romar and a near-certain axing is the 18 year-old Porter. Michael Porter Jr. is really good, but is he good enough to keep Lorenzo Romar from being fired? The game of basketball has changed dramatically over the last few decades. The three-point shot has become a significant offensive piece rather than an afterthought, “small-ball” lineups have become en vogue at every level of basketball, and youth has taken over. With these changes have come a different type of NBA prospect — someone like Washington freshman guard Markelle Fultz. Considered the likely overall No. 1 pick in the 2017 NBA Draft by many, Fultz has great length (6’4″ with a 6’9” wingspan), silky smooth athleticism, and is extremely skilled — all characteristics that coincide with the evolution of the game toward players that transcend position. And Fultz does just that. The point guard is shooting 50.8 percent from the field, including a scorching 48.5 percent from three-point range, while averaging 23.0 points, 7.1 rebounds, 5.9 assists, 1.4 blocks and 2.0 steals per game. 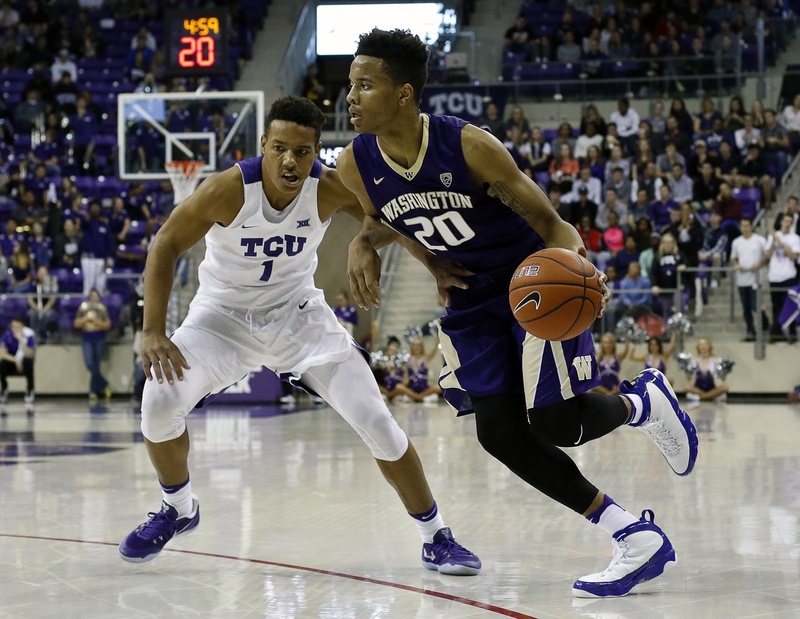 On Wednesday night, Fultz’s Huskies renewed their cross-state rivalry — which had fallen dormant for nearly a decade — with #8 Gonzaga. The Bulldogs quickly ran away from his team and, for the better part of the game, the only drama in the McCarthey Center swirled around whether Fultz would put on display the skill set that has propelled him to the top of nearly every mock draft. Fultz, like the rest of the Dawgs, got off to a slow start. The superstar freshman made just two of his first eight shots and finished the first half with six points (3-of-14 FG) as Washington trailed 47-22 at the break. Despite his shooting struggles, Fultz showed that he is equally capable of affecting a game without scoring. He grabbed seven first half rebounds, including four offensive, and also logged one blocked shot and a steal. The point guard who is the presumptive #1 pick couldn’t buy a bucket and played a half without a single assist? Well, yes, but… as poorly as Fultz shot in the first half, his teammates didn’t exactly pick up the slack or capitalize on the scoring opportunities created by their floor general’s playmaking and rebounding. The rest of the Huskies combined to shoot 21.4 percent from the field before halftime, repeatedly missing layups and open jumpers. Fultz still put his well-rounded skill set on display by consistently getting into the lane, mostly going to his right, using a deceptively quick first step and finishing with 10 rebounds. Markelle Fultz is Terrific: Will Washington Waste Him? Last Sunday night in Seattle provided a huge helping of catharsis for the Lorenzo Romar detractors out there. Romar certainly didn’t help his case by bravely taking to Twitter after the game — a 98-90 loss to Yale — to thank the fans. Not so grateful Washington fans responded by asking why the longtime Huskies head coach still has a job. It is hard to blame those fans for their frustration after watching their team shoot almost 60 percent from the field against an Ivy League opponent and still lose by giving up nearly 100 points to a team without its best player. Perhaps the most disheartening part of the result is that it appears the college basketball world will struggle to fully appreciate a potential No. 1 overall pick because his team won’t play many meaningful basketball games. Markelle Fultz was everything people said he would be (and more) in his debut, scoring 30 points on just 17 shots while adding seven rebounds and six assists to boot. Pac-12 Burning Questions: What About Lorenzo Romar’s Hot Seat? It was surprising to learn that The Ringer’s first-ever college basketball piece (or at least Mark Titus’ first college hoops piece) was about Lorenzo Romar and the Washington basketball program. It’s of course not totally strange to have Washington hoops in national news during off-cycle reporting (see: The Sixth Man), but when you consider Washington hasn’t made an NCAA Tournament since 2012, it’s a little different that a brand new media outlet would introduce itself by questioning the employment of a Pacific Northwestern basketball coach. And while I know that we’re Pac-12 homers, this one felt a little strange yet enjoyable. Alas, this isn’t a media critique column — it’s an exploration of the Huskies, a team that it says here is not playing for its coach’s job. No, the Huskies are instead playing for their first NCAA Tournament appearance in four years. With a fresh injection of energy and life into the Seattle-based program, fans joined the Dawg Pound as Washington exhibited a bump in attendance for the first time in three years. And while the numbers (attendance) are still rather paltry (an average jump of about 400 bodies), it trended up. We like upward trends and particularly ones that can be righted after 14 seasons. Is freshman Markelle Fultz the best player in the Pac-12? Some have predicted he will be the Pac-12 Player of the Year, and still others have noted him as the first pick in the 2017 NBA Draft. CBSSports.com, for what it’s worth, says he’s the second best college basketball player out there. Will the Huskies average less time per possession this year? Last year Washington logged an outrageously swift possession time of 13.6 seconds, second in the nation, and the third quickest offensive possession length since KenPom began tracking the number in 2010. 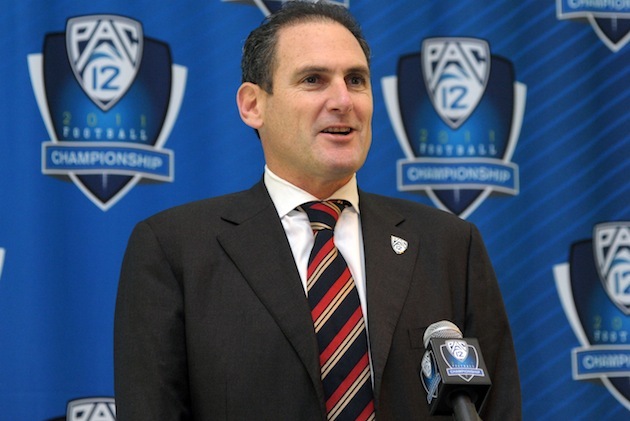 It is never too early to predict how the Pac-12 will look heading into next season. Let’s not waste words and just get into a look at each team by projected order of finish. The skinny: Assuming Brooks returns to school and Ennis is eligible and healthy enough to play a full season, the Ducks will run almost two-deep at every position. 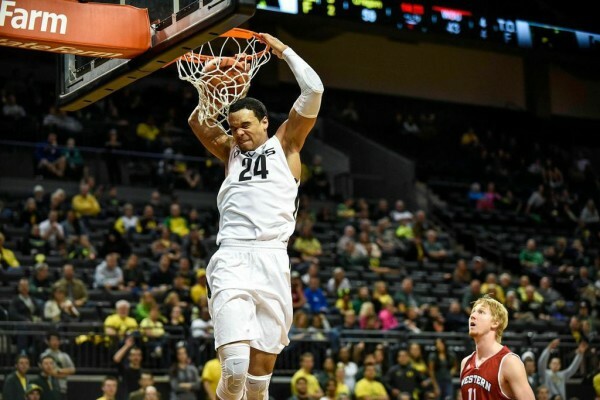 Boucher’s extra year of eligibility is also huge because it again gives Oregon two of the best rim-protectors in the country while allowing Dana Altman to space the floor. Don’t sleep on the Ducks’ recruiting class, either; there aren’t any stars here, but Cage and Pritchard will both contribute early. The skinny: Simmons is the key here. If the point guard is as good as everyone seems to think he is, the Wildcats have the athletes elsewhere to be above-average offensively and elite defensively. Trier could be a Pac-12 Player of the Year contender and some believe that Smith, now healthy after missing all of last season, is the better player in that recruiting class. Sean Miller has reportedly been sniffing around the graduate transfer market as well — if the Wildcats can land an extra big man, that would help shore up a frontcourt that right now consists of Ristic and maybe Comanche. The NBA trade deadline is now less than two weeks away, which means professional basketball writers get to throw together a bunch of hasty trade ideas and rumors in an exercise that always looks like so much fun. College basketball writers get left out of the trade deadline party because, as those who have been paying attention already know, trades are outlawed in amateur athletics. In an effort to crash that party, we are going to waste some space this week analyzing several potentially smart trades for Pac-12 contenders that will not happen. We stick to intra-conference trades to make it easy and because the thought of a bunch of petty Pac-12 coaches bickering over the fairness of those trades would be so entertaining for the rest of us. And remember, talent in addition to remaining years of eligibility are important. How else would Washington State rebuild? 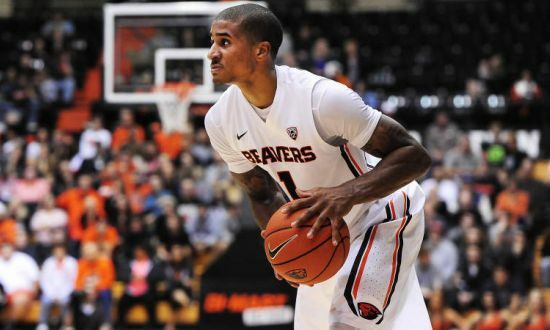 Corvallis is a football town first and foremost but the good residents there would still likely burn the whole thing to the ground if the Beavers tried to trade away Payton II. Some analysts believe that Oregon State will be an NCAA Tournament team so Wayne Tinkle would potentially be a buyer rather than seller at the deadline. But for a limited team with young talent and a bright future, leveraging a senior like Payton II for future assets is the smart play. His arrival in Tucson doesn’t help Arizona’s immediate shooting need but he does give the Wildcats a true point guard and a more explosive scorer. Given his popularity, Oregon State would probably think long and hard about this trade but eventually would come to their senses and grab an NBA talent like Smith and two years of a poor man’s Gary Payton II (in Allen). Washington is still in the hunt for the Pac-12 title but head coach Lorenzo Romar is smart enough to know better than to mortgage his team’s bright future for a run this season. The Huskies’ backcourt is their strength and has too much depth to make it worth tinkering with. However, an offensive-minded stretch forward who can shoot the three and takes care of the ball would fit in nicely in the Huskies’ fluid frontcourt. 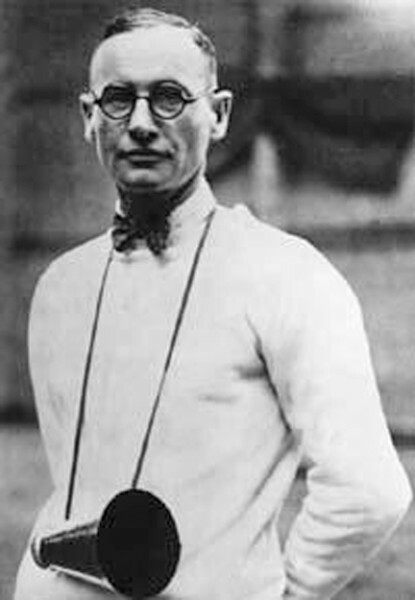 Allen would probably be the least athletic forward of the bunch but he would bring polish, offensive nuance and enough athleticism to run with the young Huskies. He would offer important spacing to a team that struggles to perform in half-court sets and wouldn’t be asked to do too much defensively. Romar would probably rather part with David Crisp or Donaven Dorsey than the versatile Thybulle, but there would be enough contenders pursuing Allen so that he might be willing to pay for a rental player who could help deliver a Sweet Sixteen banner to Seattle. Oregon is in the most precarious position of any Pac-12 contender because it is a flawed team despite its recent hot streak and its most intriguing trade chips are in the current rotation. The Ducks’ two immediate areas of need are in backcourt depth and rebounding help. 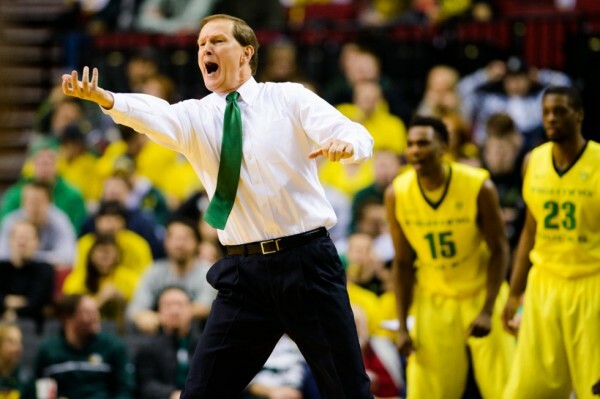 If Dylan Ennis were healthy, Dana Altman would be inclined to pursue a rebounder like Josh Hawkinson. But the Ducks’ backcourt is so thin right now that getting a player like Iroegbu is more important. The junior turns the ball over too much and is not a great defender but he would give Altman’s backcourt a creative playmaker and dead-eye shooter (46.2% 3FG) at a relative discount. Oregon doesn’t have the pieces to go after Payton II or Bryce Alford, but Small and Sorkin offer enough long-term upside to convince the Cougars to part with an inconsistent talent like Iroegbu. Despite his immense talent, Parker is probably too moody and inconsistent to garner much interest as a last-minute rental. But Cuonzo Martin, perhaps sensing that this is his only year with Jaylen Brown and Ivan Rabb, could be persuaded to take a low-risk flyer on a big-time addition. Cal would love to take some interior attention away from the precocious Rabb and Parker would undoubtedly do that. Rabb is a good enough shooter that he and Parker could play together without floor-spacing issues and Parker is a good enough post defender and rebounder that Rabb could use his length to bother shooters on and off the ball. The question would be whether Martin could get the most out of Parker and make him a more consistent player. If so, Cal might become a scary postseason proposition. For UCLA, Steve Alford would get a chance to start fresh with a young core while adding depth to his frontcourt. Utah is firmly entrenched in “win now” mode whether it likes it or not. Jakob Poeltl will likely not be back for his junior season and the Utes will also lose three other rotation members including Jordan Loveridge — their third-leading scorer and best outside shooter. 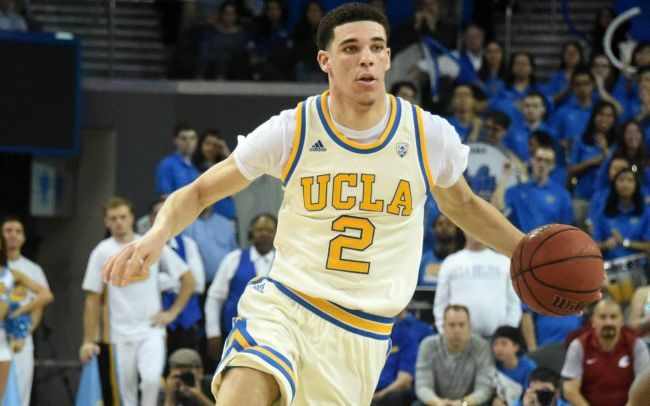 UCLA, on the other hand, has a solid young nucleus and a top-ranked recruiting class coming to Westwood. If Alford was ruthless enough to ship his own son out of town, now would be a good time. For Utah, the Brandon Taylor experiment has run its course. Alford isn’t known for his defense but he is still a major upgrade on both ends of the floor and he would give his new team another deep threat to pair with Loveridge. Brekkot Chapman has not improved the way Utah would have liked but he is good enough to capably replace Kuzma and Chris Reyes is a reliable backup. Kuzma is the perfect second or third big man for the new-look Bruins. He is athletic and skilled enough that he could become a double-double machine once he is away from Poeltl’s long shadow.